Federal government must become a champion of child care | Unions Yeah! 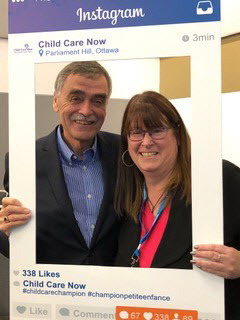 The lobby, organized by Child Care Now, and its provincial counterparts, is focusing on getting commitments from MPs and Senators to playing a positive role in building a publicly-funded and managed system of child care in Canada. MPs and Senators are also being asked to support more federal spending on child care over the next decade that is better directed. The standard international benchmark for child care fundingis 1 per cent of GDP. Canada spends only about 0.3 per cent of the GDP on child care. You can send an online message to your MP to tell them we need child care champions on Parliament Hill.